The 2020 Democratic National Convention will take place in Milwaukee, Wisconsin, Democratic National Committee (DNC) Chairman Tom Perez announced Monday, a decision that comes after Hillary Clinton narrowly lost the critical state to Donald Trump in 2016. “If we’re going to take back the White House, restore the guard rails of our democracy, and make government work for American families, we need to earn it,” Perez wrote in a statement announcing the news. “We need to fight alongside our brothers and sisters in labor to build a brighter future together, and empower the diversity of our party and country. This choice is a statement of our values, and I’m thrilled Milwaukee will host the 2020 Democratic National Convention. The Democratic Party is the party of working people, and Milwaukee is a city of working people,” he continued. “We saw in this last election what we can accomplish when we come together, invest, and fight for working people, and that was proven right here in Wisconsin,” Perez added, referencing the party’s 2018 victories in the state, which saw them capture every statewide office, including the governorship. 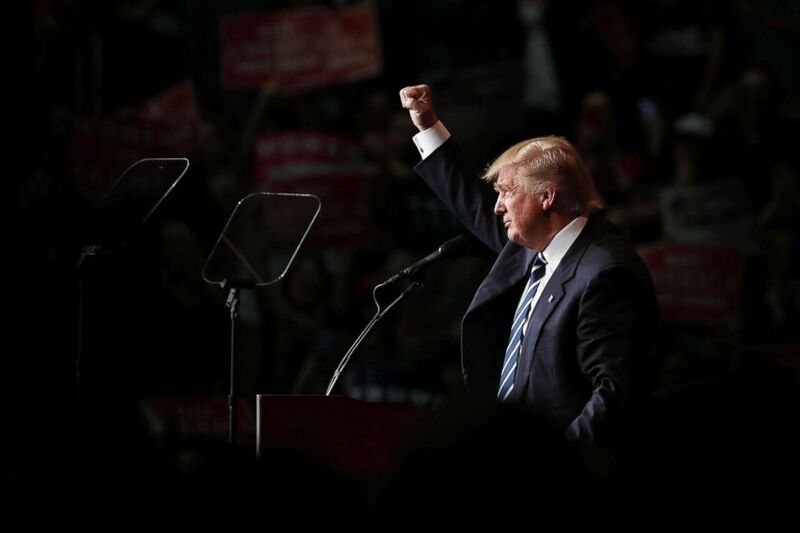 Donald Trump speaks at a campaign rally on Nov.1, 2016 in Eau Claire, Wisconsin. The selection of a Midwestern city shows the symbolic and strategic importance the region will take on for Democrats in 2020 in their bid to re-take the White House and deny President Donald Trump a second term in the Oval Office. The city beat out Miami and Houston as the site to host the Democratic Party’s convention, which will take place between July 13 and 16. The choice comes two years after Hillary Clinton became the first Democratic presidential nominee to lose Wisconsin since Walter Mondale in 1984, one in a series of losses across the Midwest that aided Trump’s 2016 victory in the Electoral College despite losing the nationwide popular vote. Clinton’s unexpected loss in Wisconsin sparked widespread griping in the party that the state, which she did not campaign in once during the general election, was largely ignored in favor of bigger electoral prizes like Florida, which also ultimately went to Trump on election night. In her 2017 book about the election, “What Happened,” Clinton admitted that additional attention to Midwestern states could have benefited her, but insisted that the states were not ignored, writing that her campaign “knew the industrial Midwest was crucial to our success. 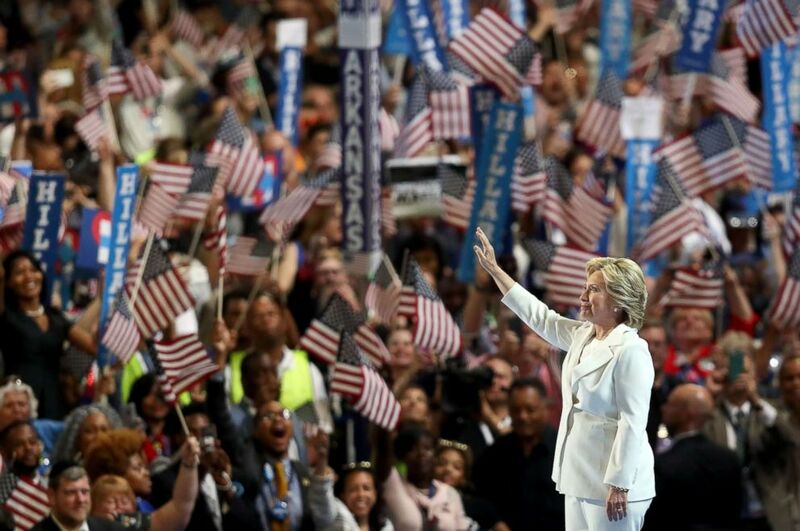 Former Secretary of State Hillary Clinton acknowledges the crowd as she arrives on stage during the fourth day of the Democratic National Convention at the Wells Fargo Center, July 28, 2016 in Philadelphia. But despite the sting of 2016, the party bounced back in 2018, unseating incumbent GOP Governor Scott Walker and capturing the notching wins in statewide races for state treasurer, attorney general, lieutenant governor and secretary of state. Democratic Sen. Tammy Baldwin, who at the beginning of the cycle was thought to be one of the party’s most vulnerable incumbents, cruised to re-election by 11 points. However, a successful 2018 does not guarantee victory for the party in 2020 when Trump will be back on the ballot, a fact that some contenders for the 2020 Democratic nomination are well aware of. Minnesota Sen. Amy Klobuchar, the only candidate who represents a Midwestern state to declare thus far, began her campaign with an explicit nod to Wisconsin. The Republican National Committee (RNC) announced last year that its 2020 convention will take place in Charlotte, North Carolina, between August 24 and 27.